I colored the image as usual and trimmed with my Tim Holtz/Tonic Studios Scissors. I used some dies from my stash to cut out the scalloped circles (CC Designs) and seashell border (La-La Land Crafts). 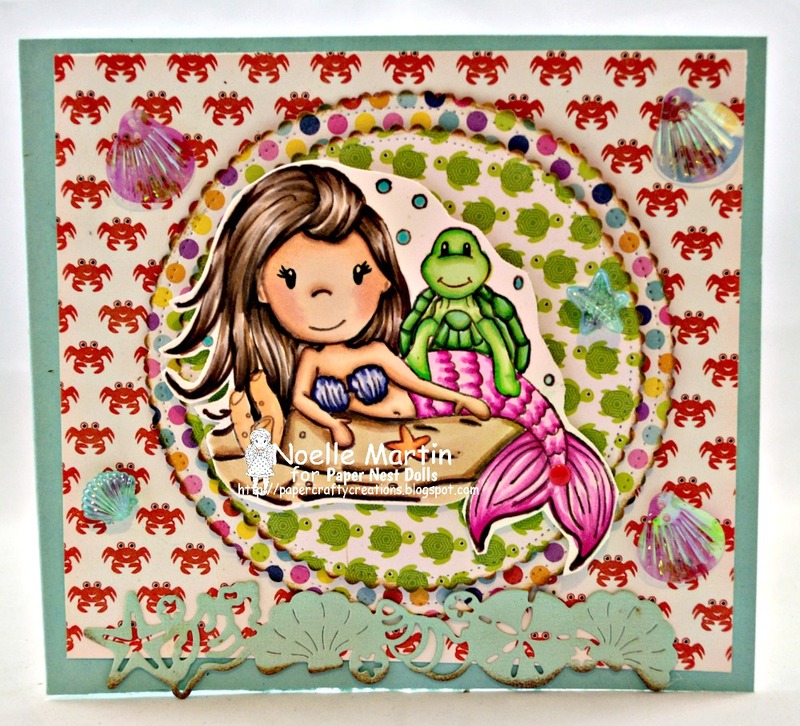 The cardstock base is made by Bazzill Basics Paper manufactured by American Crafts. 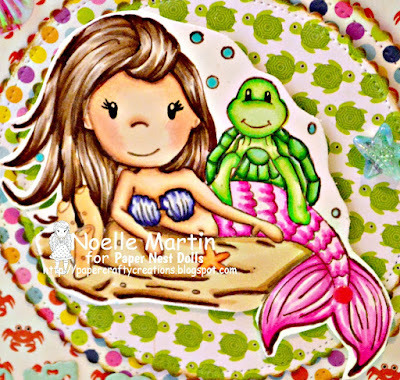 The patterned paper is from Echo Park Paper's "Let's Be Mermaids" 6" x 6" Paper Pad. The embellishments are from my stash, I can't recall the brand. Thank you for stopping by today! Feel free to leave some comments, they are much appreciated! Head over to the Online Store and Digi Shop to check out all the adorable images Christine has to offer! Have a great day!